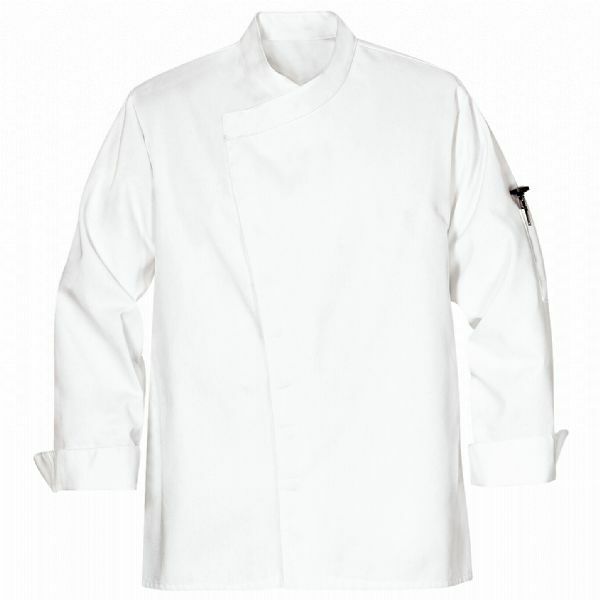 A sleek style for the modern chef. Our crossover collar and concealed gripper front add ease to a busy day, while clean-finish vented cuffs add practical style. 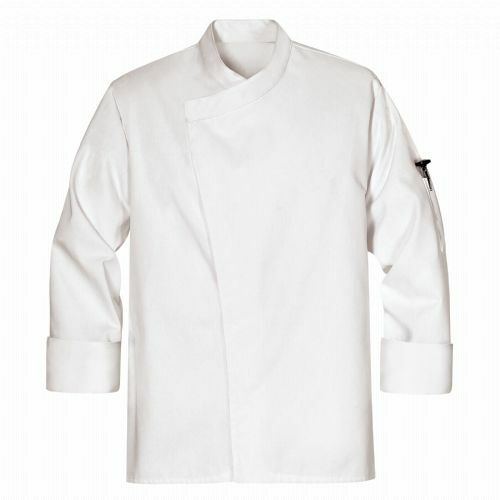 Our poly/cotton twill blend is pre-shrunk with soil release, so food stays where it should – in the kitchen.